It’s inherently unfair to compare an iconic band’s most seminal work to anything it might produce 20 years later. Artists are people Just Like Us, and their lives shift and adjust with good years and bad. The passage of time can and will ultimately translate into new sonic directions that may or may not resemble their initial output. Yet, when it comes to William and Jim Reid of Scottish post-punk figureheads The Jesus and Mary Chain, who, after almost two decades and a lot of infighting, have at long last released a new album, one cannot help but draw lines of comparison. How can you not, when so many feedback-obsessed acolytes — A Place to Bury Strangers, Dum Dum Girls, Brian Jonestown Massacre — have followed where they left off? Jim and William eventually found their way back, reconnecting to play the 2007 editions of Coachella and Meltdown Festival and have since breadcrumbed their fans with the urgent single “All Things Must Pass” (which first appeared on sci-fi drama Heroes and has been shortened to “All Things Pass” on Damage), a four-disc box set of rarities and b-sides in 2008 and a tour two years ago to celebrate the 30th anniversary of their hallmark debut, Psychocandy. It feels fitting that the band would cap this victory lap with a brand-new record. It was bound to happen — the same way Netflix insisted on rebooting Full House and Gilmore Girls. They can do it, there’s money to be made, so why not give it a shot? But like a lot of folks asked after flipping their coffee tables in reaction to Rory’s Final Four Words: Just because you can resurrect the past, does it mean you should? (Which isn’t something the band itself is intending to do, but rather how this record will no doubt be received.) As an album, Damage and Joy feels fundamentally out of focus — a fractured collection that sound more slapped together in ProTools like than a polished work of art. It’s likely due to the fact that seven of the 14 tracks were written to be solo songs or songs for Sister Vanilla, the band led by the youngest Reid sibling Linda, and Jim Reid’s Freeheat. And so, the innovative, dark-meets-light qualities that sent Psychocandy and its follow-up, Darklands flying up the ‘80s charts in the U.K. are in short supply. It’s hard to know if even the Reids know why they’re doing this again, a feeling they express on ambivalent opener “Amputation,” where they drone, “Tryin’ to win your interest back / But you ain’t having none of that.” A retread of Jim Reid’s solo number “Dead End Kids,” it’s a shrugging tune they recently explained was about feeling like audiences were more interested in hearing bands that sound like the Mary Chain, as opposed to listening to the genuine article. The Reids might feel tossed aside, but they’re definitely not hurting for assistance: Along for the ride are touring drummer Brian Young, former Lush bassist Phil King, plus Sky Ferreira, Isobel Campbell (ex-Belle & Sebastian), Bernadette Denning and little sis Linda, all of whom have guest vocal spots. Denning shows up on single “Always Sad,” a bittersweet number about pining after a faraway lover that sounds eager to replicate the radio-friendly nature of Darklands insta-classic “Happy When it Rains.” Too bad it insists on employing lazy songwriting, rhyming “girls” and “curls” and “guys” and “eyes.” Later, they’re marveling at how naturally dizzy another person can make you feel — sans drugs! — on “The Two of Us,” which cheerily recalls one of the Mary Chain’s greatest influences, the Beach Boys. What they might wish to evoke is the sort of moody-positivity birthed on “Just Like Honey” or “Down On Me,” but the problems are twofold: First, what made the group so famous was how their vocals, so frayed and Lou Reed-deep, would practically become one with their cascades of guitar distortion, so much so that it’d be tricky to tell where the instruments ended and the singing began. 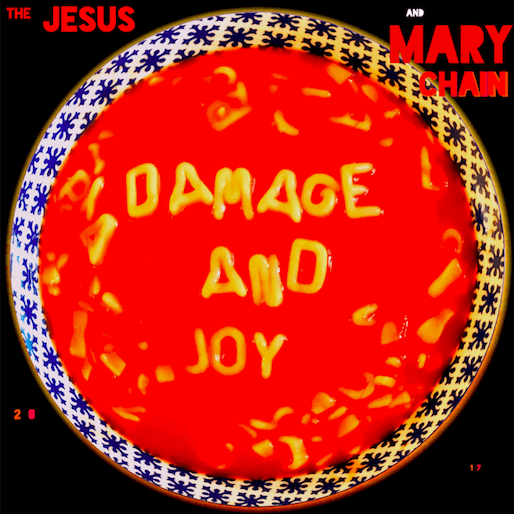 The production on Damage and Joy is so clean and crisp that it makes the Mary Chain’s trademark clamor sound really purposeful (and nobody likes a tryhard). Second, the the Reids’ lyrics are so on-the-nose unremarkable (on “Mood Rider,” they rhyme “lust,” “must,” and “dust”) that they lose all ability to connect. Also, any Mary Chain follower will be grateful to hear a new batch of downer-pop from the Brothers Reid just as they’ll be relieved at their ability to reconcile (unlike another former Band of Brothers). “War on Peace” features a blazing, arena-ready uptick in percussion and a chorus of “ooooh, ohhhhh”s, and it’s a pleasure to hear the long-missing Ferreira sing “Yeah, it’s just a bitchhhh” on the prettily dour “Black and Blues.” It’s all very nice. But that’s all it is: nice. The Mary Chain never moves beyond that in terms of lyricism or arrangement. The lack of any real verve on Damage and Joy actually makes their I’ll-be-replaced fears on “Amputation” something of a self-fulfilling prophecy.